LKOC sponsors several wonderful programs at the Women’s Community Correctional Center here in Kailua, as part of our LKOC/WCCC Partnership. ​At the bottom of this page is a history of how the LKOC/WCCC Partnership was formed. Here are the programs that LKOC sponsors at WCCC. ~ Learning to Grow (LTG), which teaches inmates horticultural skills, as well as small business, financial and life skills, they can use upon release. Also, hydroponic lettuce they grow at the facility is sold at Foodland stores across Oahu, where all proceeds go to support the program. Our LKOC volunteers have been mentoring the women in the program since 2008 (they volunteer 2-3 times a week at the facility), and we hire instructors from the community to teach a series of 6-week classes, throughout the year. See below for more details on this life-changing program. ~ The Community Service Workline, which, since 1999, has been providing teams of inmates who maintain the landscaping at numerous public areas in Windward Oahu. See below for more details on this program. ~ Exceptional Trees - since 2002, LKOC has provided funds for the professional maintenance of four Exceptional Tree Monkey Pod specimens on the exterior grounds of the facility. These magnificent trees are clearly visible from Kalanianaole Highway, for all to enjoy. ​For more information about this program, please visit our Trees Page. Our LKOC volunteers have done a wonderful job putting these programs together, which we support financially, as well as with dedicated volunteers. This unique partnership has provided valuable contributions to Windward O'ahu, and we are extremely grateful for the wonderful support and vision we have received over the years from the prison staff. A big mahalo to current Warden Eric G. Tanaka! 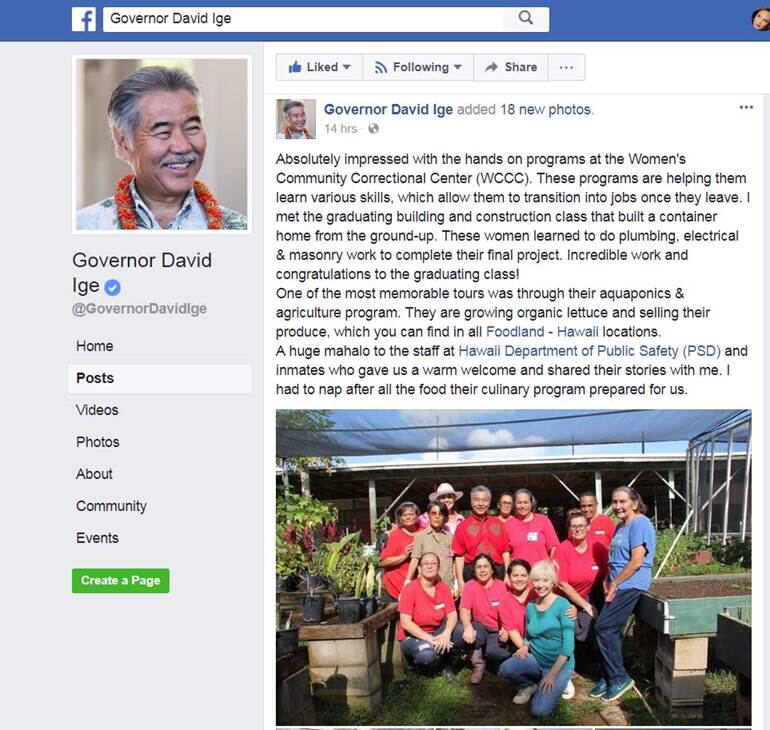 In September, 2017, the Honorable Governor David Ige visited the WCCC facility and posted the following on his Facebook page. We were honored to have him visit the LTG nursery, as shown in the photo. ​Since1999, LKOC has sponsored the Community Service Workline project, which provides teams of inmates to maintain landscaping in public areas in Windward O'ahu. Initially a Workline of inmates was set up for Kailua Beach. The warden wanted the women to be part of the community so the areas were extended in 2000. Today these areas include: Kailua Road median, from St. John Lutheran Church to Oneawa Street, Alala Point plantings at the entrance to Lanikai, Pohakapu Fountain landscape, Kawainui Marsh and Hamakua Marsh. They also maintain the LTG grounds around the hydroponic system and garden nursery. LKOC provides training, equipment, equipment repairs, ongoing materials, and lunches. A Harold KL Castle Foundation Grant recently provided for repurchase of weed whackers that were stolen. 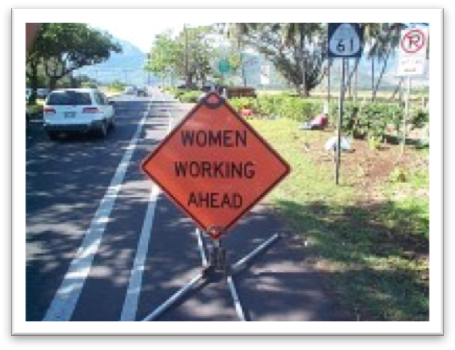 The Lanikai Community Association also generously donates a portion of the women’s lunch expenses each month. The Work-Line goes out with a crew of 10 for 4 hours, 3-4 times a month which comes to over 150-woman hours per month! They do such a great job! ​Since 2008 LKOC has sponsored the Learning to Grow project at WCCC, where inmates have built and now maintain a large hydroponic system and plant nursery where they grow organic vegetables for the prison cafeteria, saving the prison $40,000 a year. 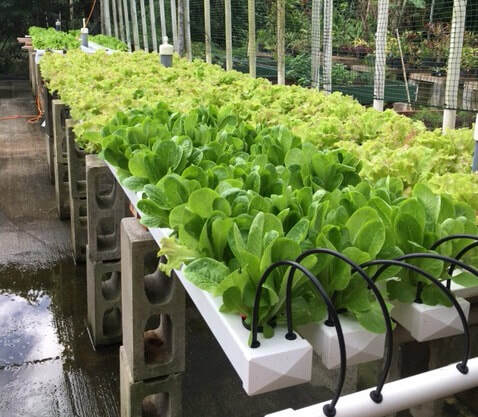 Since 2016, a portion of the hydroponic lettuce grown in the program has been available at five local Foodland grocery stores on O‘ahu. The lettuce is harvested and delivered fresh every Wednesday, and there are multiple varieties available from week to week. The proceeds from the sales go to support the program. The inmates are now in charge of the the entire planting cycle, from seed to harvest. LKOC volunteers teach inmates in hydroponics, plant maintenance and management skills. Our volunteers work side by side with the women, three times a week, providing not only hands on guidance, but a mentoring sense of camraderie and friendship as well. 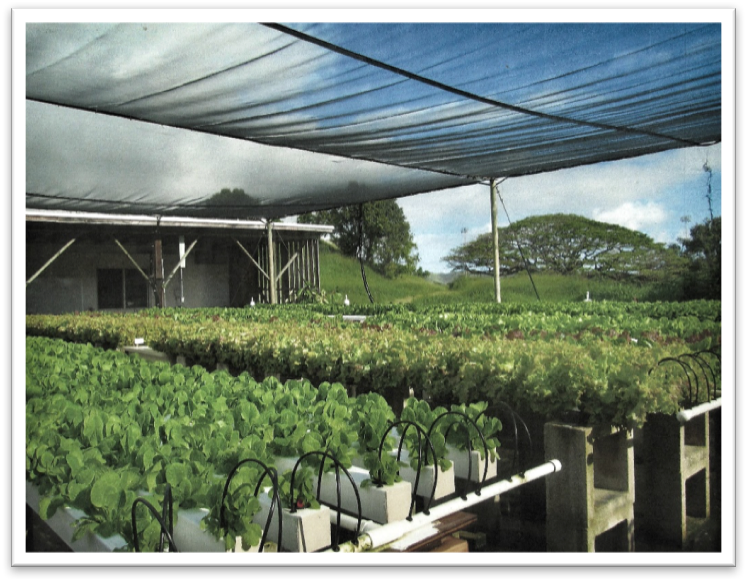 In 2015, a HECO grant provided funds to restore electricity to the hydroponic system and the garden classroom (lost due to a 2015 storm). 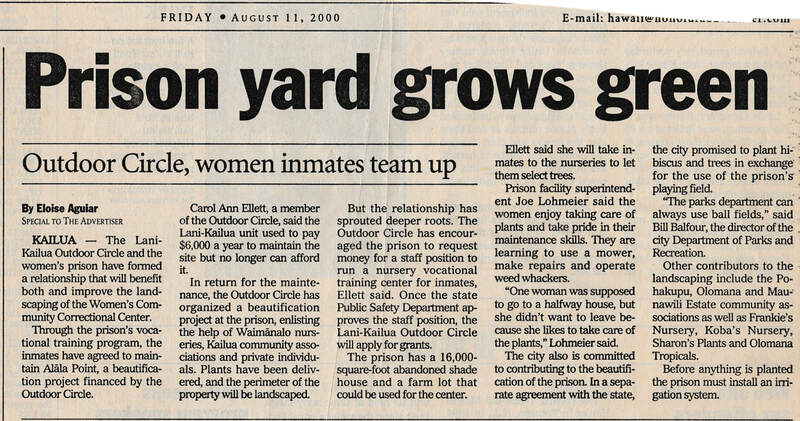 Additionally a Harold KL Castle Foundation grant provided funds for the inmates to build a fifth hydroponic line to grow lettuce (to sell locally to help the program become self-sustaining), as well as provided funds for horticultural instructors for two sets of classes, in which the women have earned three separate certificates in horticulture, hydroponics, and how to run a small business. The Small Business Association has provided in-kind donations towards course preparation, materials and instructor. ​The students in these programs receive 50 cents an hour, which gives them some pocket money. In 2019, LKOC was able to install a sixth hydroponics lettuce line, which the students built themselves. The program has now expanded to include a small herd of goats which will manage some of the underbrush maintenance around the nursery as well as provide a learning and nurturing experience for the students, who will take care of them on a daily basis. Additionally, in partnership with Smart Trees Pacific, the program has expanded to include a tree nursery where the women will grow specimens for future Arbor Day tree give-away events as well as possible planting in the community. All facets of our program within Learning to Grow provide these women with skill sets to help them succeed after release, as well as develop a sense of confidence and accomplishment. One former inmate received an additional stipend when she showed her Horticultural certificate to her new employer. Several inmates have been inspired to go back to school. Over 30 students have graduated from the newly instituted certified Hydroponics training programs, and similar numbers in the horticultural and business classes. Today we are so thankful for our committed and enthusiastic LKOC volunteers, and the generous financial support from our community. Our aim at “Learning to Grow" is to expose our students to the joys and responsibilities of working with plants (and now animals!) and provide them a supportive atmosphere where they learn to self –heal. ​We are always looking for volunteers to participate in the LTG program at the WCCC facility. Currently we have 6 volunteer teachers who each go to the Garden 1 day a week for 2 hours, on Mondays, Wednesdays and Fridays from 8-10 AM. We also need volunteers to deliver lettuce to Foodland stores on Wednesday mornings, every other week. We who volunteer all consider it a privilege to do this work and enjoy it immensely. If you are interested in being a mentor gardener at the correctional facility, or helping out in any way, click here to get in touch with a coordinator. It is such rewarding work! In 1999, The Lani-Kailua Outdoor Circle (LKOC) received a call from John Kellam, then warden of the Windward Community Correctional Center (WCCC) who told us of an abandoned nursery on the facility grounds, and how he had wanted to give the offenders horticulture classes but hadn't been able to convince DPS (Dept. of Public Safety) to do it. Carol Ann Ellett, then chairperson of LKOC's beatification committee, went to meet with the warden and then wrote the head of DPS and their Education Program Manager for six months before getting a reply. This eventually resulted in the refurbishing of the abandoned nursery by LKOC volunteers and WCCC women, in 2001. This was the start of the Environmental Sciences Vocational Training Program. A curriculum was developed so that the women would get college credits for their classes given by college faculty and accompanied by work in the renovated nursery. LKOC invested $2,000 initially and 2 grants provided the rest of the required equipment, library books, etc. The Garden Club of Honolulu provided an additional $13,000 grant. Thus began the enduring relationship of LKOC with WCCC that has been maintained for the past 18 years. This was a 3 way partnership: LKOC would provide the tool and materials; The Department of Public Safety (DPS) through their Education Director, Maureen Tito, would pay the salary for the Teacher to teach Horticulture and Environmental Science; and WCCC would provide the Work Line to maintain LKOC's Public Plantings and the students to learn Environmental Science and Horticulture. In addition to the faculty who would teach the women, we requested and got a staff nursery position, Juan who was a master at running a nursery. In 2003, the WCCC class designed and landscaped the grounds of St. Christopher's Windward Senior Day Care Center. Then they went on to design and install a project at the Kailua library with a landscape artist volunteering his assistance. This was a way to give to their community and the women expended enormous energy on these projects. They also earned college credits. This three way partnership thrived until August, 2008, when early State Budget Cuts took the funding for the Horticulture Teacher and DPS bowed out of the partnership. Fortunately, WCCC and LKOC restructured the partnership with all volunteer LKOC teachers and WCCC gave us students from the Total Life Recovery (TLR) program, the cream of the crop. LKOC recruited Chuck Glenn, who had been teaching Hydroponics at Windward Community College, who jumped in enthusiastically and taught our original 10 women how to build and run the Hydroponics system. Chuck was at the Garden every week for a year, volunteering his time A lifelong teacher and counselor, he said he had never had such committed and enthusiastic students. He continues as a consultant for the hydroponics system and classes today. In those early years LKOC also started a tree planting project. Eventually a donated monkey pod tree, a half dozen shower trees and 400 hibiscus plants and irrigation system for the hibiscus were installed with assistance from the city parks department just outside the fences. The women planted the hibiscus and cared for the landscape. Today the program consists of two very successful projects at WCCC, the Community Service Work-line and the Learning to Grow Program, with upwards of 300 inmates involved since inception. This unique partnership has provided valuable contributions to Windward O'ahu. Below is an article published in the Honolulu Advertiser in 2000, regarding the program. ​Below is a photo of our newly arrived goats, soon to be part of our landscape maintenance team!